Fig. 1. 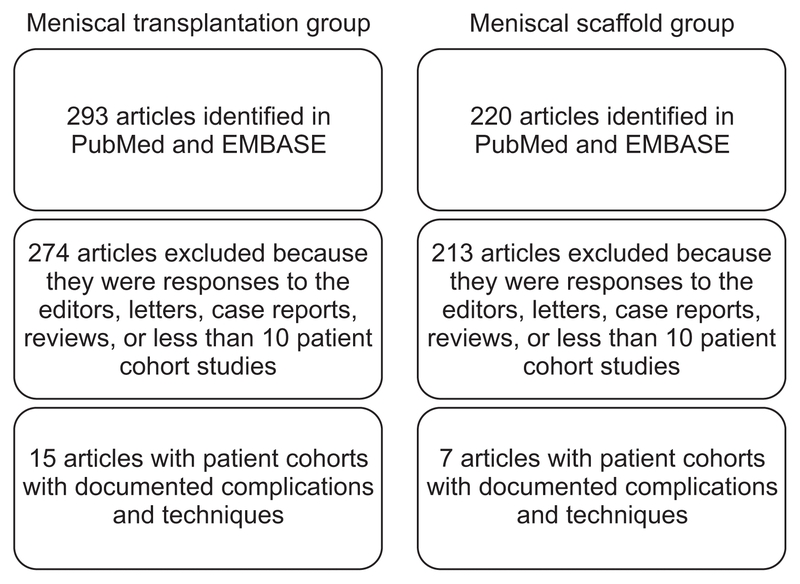 Summary of the literature search for the meniscal transplantation and scaffold groups.